Heidi Poxon is a Sr. Principal Engineer and technical lead in the Programming Environments group at Cray. She has over 25 years of experience in the High Performance Computing industry, where she has designed, developed, and ported distributed and shared memory parallel programming model software to a variety of systems. Heidi has led the direction, design and implementation of message passing software at Cray, and was instrumental in the success of the distributed computing environment at SGI that allowed applications to scale on their leading-edge system. Using her experience with proprietary networks, she led the interconnect and distributed computing direction while working at an HPC Linux-based cluster company. 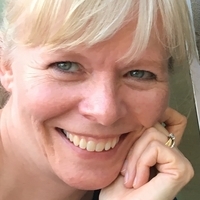 Heidi currently leads the performance tools activities for all Cray systems and is the principal designer of Cray's application parallelization tool, Reveal.